Rare stellar occultation by Neptune's Triton observed! One of the main scientific issues is now to see whether Triton's atmosphere have suffered drastic changes since 1997, knowing that the satellite reached an 'extreme' southern summer solstice in 2000. Then, the sub-solar latitude reached ~50°S. This happens every 600 years or so, and may have significantly heated up the nitrogen ice cap, triggered an enhanced geyser activity in the south polar regions of Triton, and induced a related pressure increase of the nitrogen atmosphere. [...] Two other stations in Namibia (Windhoek and Grunau) were clouded out. All the stations set up in South Africa (SAAO, Cape Town, Springbok) were clouded out. A third station in La Reunion (Les Makes) was also clouded out." There is also an update on the mutual occultations of the satellites of 2003 EL61. In other news there is now a press release on the fastest-rotating asteroid reported here a week ago, stressing that this was an amateur discovery using the Faulkes telescopes. • Comet Boattini looks strange, at least with heavy image processing. • The lightcurve of comet Pons-Winnecke is going down again; here are pictures of May 23 and other dates. • A nice sungrazing comet was detected on May 23. • There's a Nova Oph 2008, but only at 10th mag: map, alert, observation, picture. • And finally some recent hi-res ISS pics: On May 31 shuttle Discovery should join the view. According to photometric measurements by G. Muler the inner coma of comet 7P has brightened by several magnitudes in recent days - but don't panic yet: It's still only at 14 to 15 (instead of 17 to 18), and there is no independent confirmation yet. • Meanwhile Boattini could read 3.9 mag. soon, if the current brightening trend holds. The Southern hemisphere is heavily favored now. • Alert #1: On German TV there will be a show on amateurs in science on Sunday, including two amateur astronomers (a UFO investigator and comet hunter D. Levy) - the ARD-Mediathek may carry the program live or have it for download afterwards. • Alert #2: Here are links several sources for timely Phoenix information during and after its EDL on Sunday/Monday (forgetting another good one by Spaceflight Now); a consolidated timeline of anticipated events can be found here, where also some live-blogging is planned! This news item - from today's Electronic Telegram No. 1382 of the Central Bureau for Astronomical Telegrams - could make you dizzy: Photometric "observations of minor planet 2008 HJ obtained using the 2.0-m Faulkes Telescope South during Apr. 28-29, reveal that this Apollo-type object has the shortest known rotation period of any natural body in the solar system at 42.67±0.04 s. It exhibits a light curve comprised of two similar maxima and minima with an amplitude of 0.8 mag. [...] 2008 HJ has presumed approximate dimensions 12 x 24 m. The fastest previously known rotator was 2000 DO8, which has a rotation period of 78 s". In other news a third Red Spot has formed on Jupiter, close to the other two - and this Berkeley/Keck press release hails the observations of amateurs, augmenting Hubble and Keck data. Indeed in late April a German methane-band movie clearly shows the storm triplet! • Mars is now inside the Beehive star cluster. • A nice prominence movie from yesterday. • A quasar at z=3.6 has been observed visually with an 18" scope. • A Nature commentary on amateur astronomers today. • And the final HST shuttle mission is now planned for Oct. 8. It was just a matter of doing it: monitoring the dark part of the Moon with sensitive video cameras from separate locations and looking for flashes seen by both cameras at the same time in the same place. Cosmic ray hits on the detector, satellite glints etc. could be excluded this way - and now this approach has netted 100+ events in just two and a half years. "A typical blast is about as powerful as a few hundred pounds of TNT," says Bill Cooke, head of NASA's Meteoroid Environment Office at the Marshall Space Flight Center (MSFC), "and can be photographed easily using a backyard telescope." The program was started in late 2005 as an early preparation for a possible return to the Moon. Almost immediately, on 7 Nov. 2005, a 7 mag. flash was detected. Meteoroids hit the moon with tremendous kinetic energy, traveling 50,000 km/h or faster: At that speed, even a pebble can blast a meter-wide crater. The impact heats up rocks and soil on the lunar surface hot enough to glow like molten lava - hence the flash. During meteor showers the rate of lunar flashes can go as high as one per hour; impacts subside when the Moon exits the stream, but curiously the rate never goes to zero. In other news comet Boattini - seen here from Namibia in Apr./May - is rather bright but poorly placed for Northerners. • A detailled study of the break-up of the parent body of the Geminids - seen here from Portugal in 2007 - concludes "that the stream is the product of catastrophic, rather than steady-state, breakup of the parent object." • Windspeeds in Jupiter's Little Red Spot are higher than in the original storms that merged. • The 4th and 5th exoplanet discoveries of the XO project in which amateurs play a key role. • Two more CoRoT planets have been confirmed - and there are 40+ more candidates, according to AW&ST of 14 Jan. p. 49. • Another Galaxy Zoo paper, this time on the independence of morphology and colour. • A speculative new idea about shadow bands seen at solar eclipses - a phenomenon considered explained for decades, actually. On April 25, NASA's Swift satellite picked up the brightest flare ever seen from a normal star other than our Sun. The flare on EV Lacertae packed the power of thousands of solar flares and would have been visible to the naked eye if the star had been easily observable in the night sky at the time. EV Lac is a run-of-the-mill red dwarf, by far the most common type of star in the universe, shining with only one percent of the Sun's light and having a third of the Sun's mass. At a distance of only 16 light-years, EV Lacertae is one of our closest stellar neighbors but at 10 mag. far below naked-eye visibility - that changed for one or two hours last month, though there are no reports of anyone actually seeing it (Lac is poorly placed right now). The flare was first seen by the Russian-built Konus instrument on NASA's Wind satellite in the early morning hours of April 25. Swift's X-ray Telescope caught the flare less than two minutes later, and quickly slewed to point toward EV Lacertae. When Swift tried to observe the star with its Ultraviolet/Optical Telescope, the flare was so bright that the instrument shut itself down for safety reasons. The star remained bright in X-rays for 8 hours before settling back to normal. EV Lacertae's fast rotation generates strong localized magnetic fields, making it more than 100 times as magnetically powerful as the Sun's field. The energy stored in its magnetic field powers these giant flares for which EV Lac is well known. In other news rare mutual occultations of the satellites of 2003 EL61, one of the largest and most unusual Kuiperoids, are under way right now, and observers scramble to get large telescopes - including Hubble - in line. • Here are early follow-up observations of comet Wirtanen triggered by Cosmos4U's report of a possible outburst. • The brightest star with a transiting exoplanet in the Southern hemisphere has been found in WASP-7. • Alert #1: Mars will be near the Beehive stellar cluster May 21-24 and right inside it on May 23. • Alert #2: Jupiter can be seen without any satellites (Galilean moons, that is) visible in the night May 21/22 - a rare but not extremely rare telescopic sight: Another such view will come in Sep. 2009. Mark Kidger in today's THE ASTRONOMER Electronic Circular No 2446 reports on behalf of the "Observadores_cometas" group that 46P/Wirtanen has experienced a significant outburst which is evident in these light curves as well as direct images. Between May 6.9 and 16.9 UTC the magnitude in a 10" aperture rose from 16.8 to 15.1 mag, in 20" from 15.6 to 14.4 and in 30" from 15.2 ro 14.0 mag. in the R band. "Images and the multi-aperture photometry show that the inner coma has become significantly more condensed," the report says, "with the coma slope changing from considerably more extended than 1/r pre-outburst, to being 1/r or slightly steeper at the peak of the outburst." And Kidger advises that observers should "follow the evolution of this apparently unique light curve event in this object, which has shown highly consistent light curve behaviour in its previous apparitions" over the last three apparitions. Its dust production had been practically identical to the 2002 and 1996 apparitions - until the current outburst began. In other news Kidger also published a detailled analysis of the (if you trust the noisy light curves) repeating outbursts of 17P/Holmes in The Astronomer (magazine) 44 #528 [2008 April] 320-1: He sees four outbursts, in Oct. (the BIG one) and Dec. 2007 and Jan. and March 2008, each with a inner coma amplitude of about 0.4 mag. And with a period of 45±1 days, "although the interval between mini-outbursts is slightly longer each time". If 45 days is the rotation period of the nucleus the increasing intervals "could be consistent with the decreased insolation taking longer to trigger activity." Here, by the way, is an independent near-nucleus light curve with ½ mag. scatter, though: this observer saw "no larger outbursts". 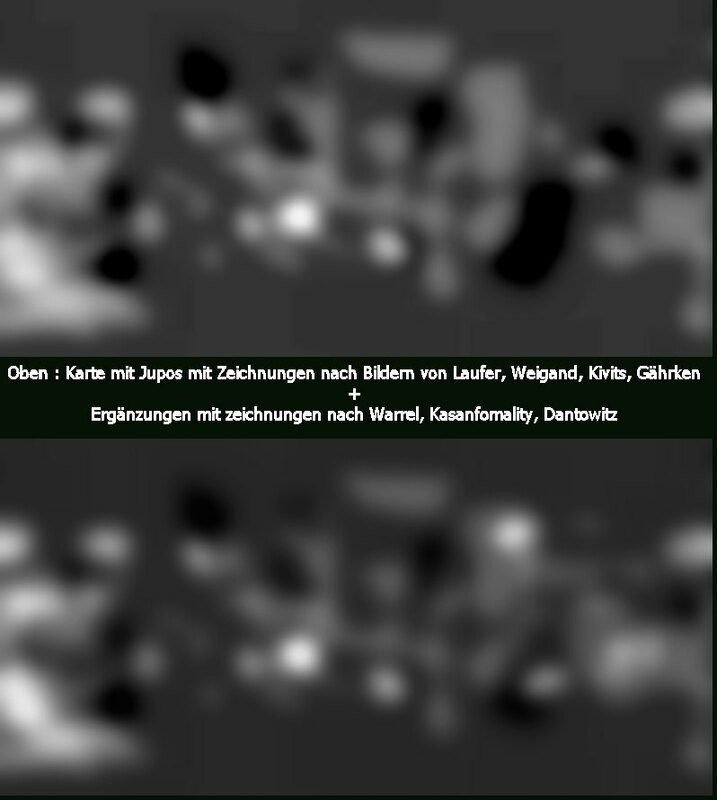 Meanwhile Andreas Kammerer has extended his analysis of Holmes' visual behavior in Schweifstern 24 #126 [April 2008] 8-10, based on over 1000 reports. Peak brightness was 2.4 mag. on Oct. 30; in late March it had dropped to roughly 5.5 mag. And while the bright dust coma expanded 100,000 km/day til early January (when it appeared to stall and shrink, due to its low surface brightness), the faint gas coma expanded at 230,000 km/day until it was lost visually around Nov. 5. • There is also a new comet C/2008 J6 (Hill) and another observation of Beshore which now has an asteroid-like orbit. • An optical transient in NGC 300 at around 14th mag. could be a peculiar star like V838 Mon. • The central star of the LMC-N66 nebula has undergone a new outburst; the nature of this star is uncertain, too. • As SOHO sees it today: the Sun close to the Plejades and Venus; there are three new old-cycle sunpots on the disk. • There have been rare halos galore in Finland after some hiatus - while Earth's magnetic field reversals could be more frequent (no connection implied). • The ISS transiting the Moon; good viewing opportunities will come soon to N America as well as Europe. • And here are some expectations for the LSST, the Large Synoptic Survey Telescope. Its smaller predecessor PanSTARRS 1 will start its 3½-year science run at the end of this calendar year, this blog was told recently - also promising a flood of discoveries near and far. Yet another unusual paper by Louisiana State Univ. astronomer Brad Schaefer et al. : "We are reporting on a new accurate photographic light curve of Pluto for 1933-1934 when the heliocentric distance was 40 AU. [...] We find that the average B-band mean opposition magnitude of Pluto in 1933-1934 was 15.73±0.01, and we see a roughly sinusoidal modulation on the rotational period (6.38 days) with a peak-to-peak amplitude of 0.11±0.03 mag. With this, we show that Pluto darkened by 5% from 1933-1934 to 1953-1955." In contrast to a known darkening from 1954 onwards this effect cannot be due to our changing viewing geometry: "Thus, we now have strong evidence for albedo changes on the surface of Pluto, and these are most easily explained by the systematic sublimation of frosts from the sunward pole that led to a drop in the mean surface albedo." In other news current images still show the storm on Saturn of which also a more recent Cassini image (from April 23) has been published. • Comet C/2005 L3 (McNaught) is a bit brighter than expected. • Even from a perfect spot there weren't too many Eta Aquarids visible. • Mira's strange tail is also emmitting in neutral hydrogen. • A more and more complete picture of the famous March 19 GRB is forming. Ultimate groundbased map of Mercury created - by painting! There is now a Venus Ground-Based image Active Archive where observers (mainly advanced amateurs; few pros contribute) can upload scientifically useful Venus images - which scientists from the Venus Express mission are eager to use in order to see the global context of their data. Amateur astronomers are using ever more exotic wavelengths to bring out unknown detail in planets with thick atmospheres - e.g. the methane band around 890 nm on Saturn and Jupiter or 1 µm on Venus where one can actually see the surface. The best mutual event of Uranus' moons during the 2007/8 equatorial plane crossing has been observed with a mobile observatory in Italy. A Small Budget Sky Survey has been launched to coordinate small search programs for all kinds of celestial objects. A small minor planet occulted a bright star recently, and although only one observer was lucky to catch a (2 second!) drop-out, the high S/N of the data allowed for a lot of analysis. A professor for movie and TV sciences managed to image the phase of Venus without any refraction or reflection: He used a Fresnel zone plate telescope, 4 meters long, which he actually carried into the lecture hall. So far the observed arc of C/2008 J2 (Beshore) measures only one day: If the calculated orbit holds, the comet should reach 8-9 mag. in October. At a declination of -52°. Currently it is not a big light, in contrast to C/2007 W1 (Boattini) which has brightened quite a bit. In other news there seem to be not two but several storms on Saturn, forming a complicated pattern in the STrZ, as monitored by R. Vandebergh. • One day after the conjunction the lunar crescent had grown a lot. • An impressive halo show from Finland. 900 million dollars: makes one wonder how far the hunt for Near Earth Objects might have progressed today, had that doe (or a "stupid impact movie tax" :-) been spent on more search programs - NASA e.g., a major source of funding, currently invests just 4.1 million bucks annually! Now Canada seems to be willing to go ahead with the - similarly cheap - NEOSSat satellite mission for NEO hunting inside Earth's orbit which has stirred up some controversy (see also here, here and here). At NASA meanwhile, some dream about a manned NEO mission with the Orion capsule. In other news the pairing of the young lunar crescent on May 6 with planet Mercury at dusk was quite a sight: collections from Germany - more and more pictures - and from around the world. • Images of asteroid Iris passing by the Sombrero galaxy. • It was 25 years ago that comet IRAS-Araki-Alcock was discovered and came very close to Earth. • Don Machholz has now been hunting comets for 400 months, since 1975. • How to date old sky pics with the help of stellar proper motions. • And thoughts on the huge solar flare of 1859, still the record-holder by far. Ultimate lunar crescent record: Moon imaged five minutes before new! He's the specialist for imaging the lunar crescent close to the Sun in full daylight (something possible only with violent electronic image processing) - and today Martin Elsässer has broken his previous record of last June: On Europe's best day of the whole year for this feat he got the Moon five minutes before new. And if there hadn't been a "Schweinewolke" at the wrong moment, the first-ever image of the crescent at the very moment of new moon would have been no problem, too. While no lunar elongation record was set today, the proximity in time to new moon is one. Extreme crescent sightings are of considerable cultural interest, both for calendrical and religious reasons, have been the subject of many science papers, and even today this "astronomy sport" remains popular - though purists would probably only count visual sightings, with or even without optical help. As Mohammad Odeh from the ICO Project told this blogger last December, "[f]rom the big archive we have, we found that the least elongation for observed crescent by optical aid is 6.4 degrees." In other news there are new orbital elements for comet 2008 J1 (Boattini) that improve visibility, but only a bit: In late summer it will be pretty close to the celestial North pole but perhaps not brighter than 13th mag. • And here are one and more pictures of Mercury & the Plejades on Apr. 4 (and earlier). The visibility is now approaching its peak, and the blogger has found out yesterday that the planet was seen easiest when the solar depression is around 9°. But that should change as it dims every day. It's been a good year since the Space Weather Prediction Center of the National Oceanic and Atmospheric Administration (of the U.S. but the global authority on the 'fluids' of this planet) released a 'consensus' on the next solar activity maximum. Because clear 'precursors' of the new cycle were lacking a year ago, the consensus among dozens of experts on solar behavior actually consisted of two competing predictions, and since then the progression of solar activity has been monitored. So what's the status after one year, this blogger asked, in the light of 'worries' among seasond solar observers at the 32rd SONNE-Tagung this weekend that the current minimum is felt to last longer than any in decades. Replies NOAA's Doug Biesecker: "We 'released' the update [of the progression] today [May 2nd], which is, still no change. The questions that we set down one year ago to challenge either side [i.e. the competing modellers] have not yet been resolved. Mostly, the Sun is managing to not cooperate and lean one way or another. As for the minimum, it isn't all that unusual. Note, the last 2-3 minima were a bit higher than typical and I believe this one slightly below average, which makes it seem that much lower." Incidentally a 3rd (small) sunspot from the 24th cycle just appeared - and yesterday many nice prominences have been observed. So stay tuned: According to both the 'low' and the 'high' prediction, solar activity will begin to surge later this year and rise steeply throughout 2009. And by then we will also be able to better predict the shape of the 24th maximum. In other news another comet Boattini has been discovered but won't get as bright as the more famous one, though here and there clear images were taken. • Currently asteroid (7) Iris is approaching Messier 104, the Sombrero Galaxy: a nice target for photographers. • Some more pictures of Mercury at the Plejades on May 2 (a rare view; now the evening apparition has grown to almost one hour per evening in the N hemisphere). • Saturn animated with the bright storm and many moons and in methane absorption at 890 nm with the planet much fainter than the rings. • Star gazing in Argentina at the Complejo Astronomico El Leoncito. • And hail to the Solar System Visualizer tool. on May 26 (UTC) the landing of Phoenix on Mars in its arctic region. In other news here are the sky track of comet Boattini (now around 7.5 mag. ), • an "anaphoric clock" or star disk in Kansas and • another attempt to save the night skies from light pollution, this time in California's Anza-Borrego State Park, which is even causing some interest outside the area. • And here are some cool sunset optical phenomena from Paranal. These are the most spectacular images published in a scientific paper from the STEREO mission: the hi-res pictures (on pages 10 and 13 of this PDF version!) show polar coronal jets from viewpoints 11° apart. The stereo view reveals "the 3D dynamics and morphology of a well-defined EUV coronal jet for the first time. Triangulations of the jet's location in simultaneous image pairs led to the true 3D position and thereby its kinematics. [...] Helical structure is the most important geometrical feature of the jet which shows evidence of untwisting. The jet structure appears strikingly different from each of the two STEREO viewpoints: face-on in the one viewpoint and edge-on in the other. [...] The clear demonstration of twisted structure in polar jets compares favorably with synthetic images from a recent MHD simulation of jets invoking magnetic untwisting as their driving mechanism." And this isn't even the first science result making use of the unique stereo vision of the STEREO mission. In other news here are Mercury on April 29th, old Cassini views of the Saturn storm that has been active since last November (and now been joined by another storm NASA fails to mention), ionospheric data fed into Google Earth and a scientific paper on the Galaxy Zoo project. "The project has obtained more than 40,000,000 individual classifications made by ~100,000 participants," the authors marvel: "We find that Galaxy Zoo results are consistent with those for subsets of SDSS galaxies classified by professional astronomers, thus demonstrating that our data provides a robust morphological catalogue."